A back three, a forward-thinking midfield, a high press and an unshakeable commitment to passing football: these are the basic tenets of Garethball, the formula that has, on the quiet, breathed life into the England team. There is a coherence of vision here that was conspicuously absent under previous regimes: fuzzy-minded noodling has been replaced by the cold glare of reason. Think of it as the ‘Englightenment,’ with Southgate cast as a lovably off-brand, Watford-born Voltaire. Well why did you think he was wearing those waistcoats? Yet while we can predict the majority of the side that will line up against Tunisia in two weeks’ time – this level of clarity is surely a good thing for players as well as journalists – one question remains tantalisingly unanswered: who is going to be starting in goal this summer? 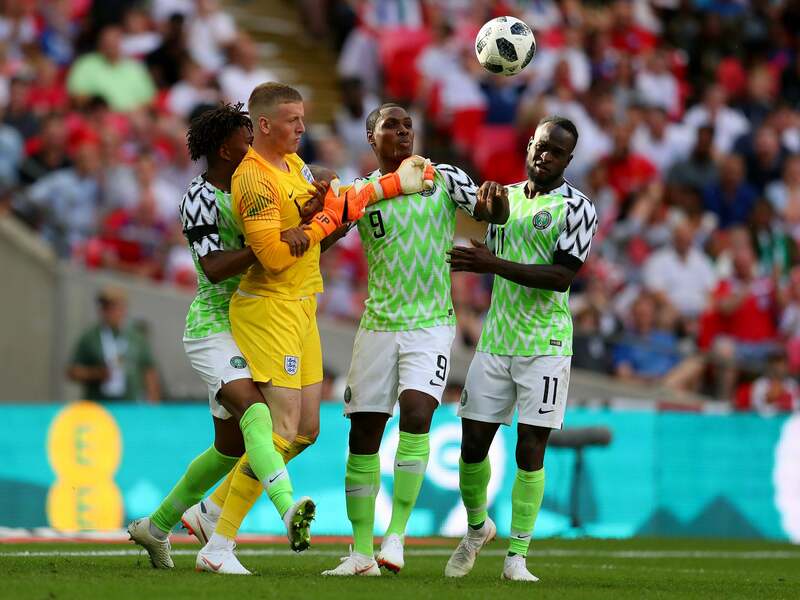 played a game each in the last international break, and while the selection of the former against Nigeria on Saturday was perhaps a telling clue, the Everton stopper admits he is still in the dark as to who will be handed the No.1 jersey in Russia. “Nothing’s been confirmed yet,” said Pickford. “I’ve worked with the manager before at Under-21 level, so maybe he will tell us in advance, but when that will be I don’t know. If the uncertainty is playing on Pickford’s mind, he does an excellent job of disguising it, insisting that the battle between him and Butland, plus Burnley’s Nick Pope, will bring the best out of all of them. “It’s great for me and the other keepers to have competition,” he continued. “We’re training hard. There are so many good English goalkeepers out there at the minute, all stepping up to the plate, so getting in the squad is hard enough. When you get into the squad you’ve got to train even harder. 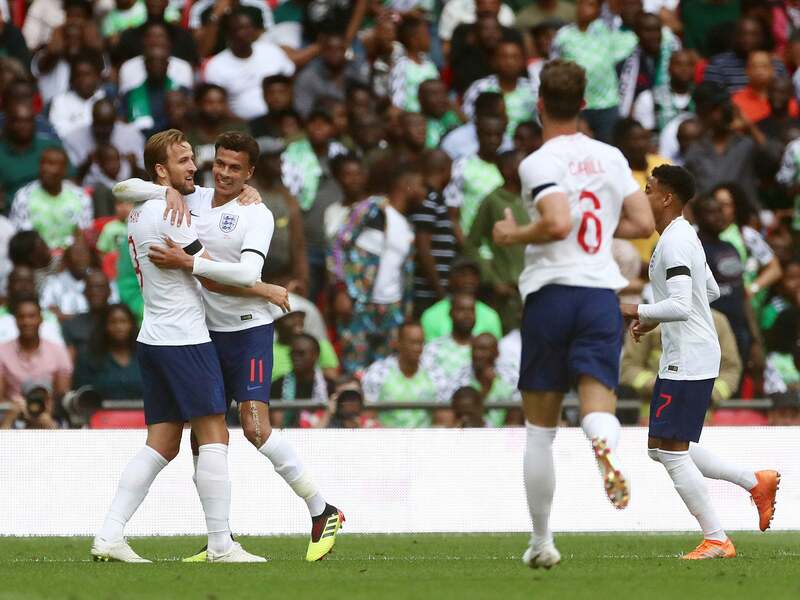 With relatively little international experience between the two front-runners for the goalkeeper’s jersey (Pickford now has three senior caps to his name, Butland seven), it was perhaps a slight that Southgate opted for Pope, rather than the more seasoned Joe Hart, as his third choice. But while Pickford is an admirer of the West Ham custodian, he does not believe his lack of caps should be any impediment as he looks to establish himself as Hart’s long-term successor. “No, no. I think he’s having a holiday,” said Pickford when asked whether he had spoken with Hart. “Growing up he was my hero, so I look up to him. But there are so many good goalkeepers in England right now and you’ve got to be at your very best with your club. I didn’t watch Harty much [at West Ham] but we’ve got likes of Popey, me, Butland, [Fraser] Foster and [Alex] McCarthy at Southampton, so there’s so much competition.